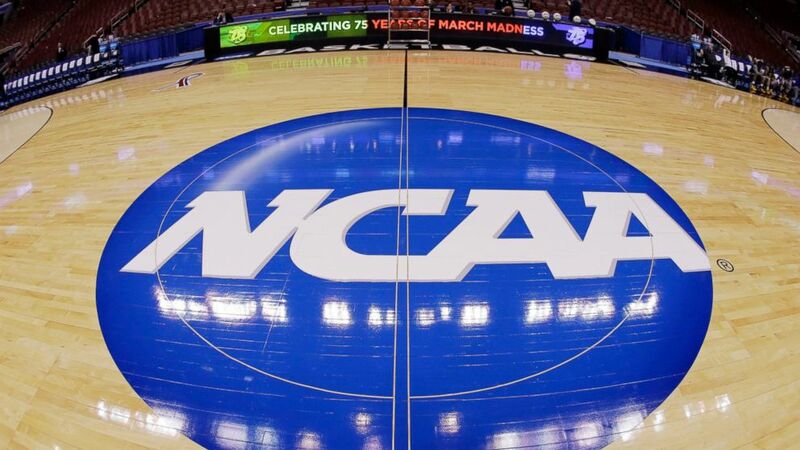 The NCAA was able to claim victory Friday night after a judge ruled against the governing body for college sports in a federal antitrust lawsuit. U.S. District Judge Claudia Wilken in Oakland, California, said college football and men's and women's basketball players competing at the NCAA's highest level should be permitted to receive compensation from schools beyond the current athletic scholarship, but only if the benefits are tied to education. The NCAA cannot "limit compensation or benefits related to education," Wilken wrote. That opens the door to athletes receiving more scholarship money to pursue postgraduate degrees, finish undergraduate degrees or study abroad. The NCAA could not, under the court's injunction, limit schools if they choose to provide athletes items that could be considered school supplies such as computers, science equipment or musical instruments. "Technically the plaintiffs won the case and the NCAA will not be happy that they were found to be in violation of antitrust law, but ultimately this allows the NCAA to keep the bulk of their amateurism rules in place," said Gabe Feldman director of the Tulane University sports law program. The plaintiffs in the so-called Alston cases were seeking much more. Plaintiffs had asked the judge to lift all NCAA caps on compensation and strike down all rules prohibiting schools from giving athletes in revenue-generating sports more financial incentives for competing. The goal was to create a free market, where conferences set rules for compensating athletes, but this ruling still allows the NCAA to prohibit cash compensation untethered to education-related expenses. The claim against the NCAA and the 11 conferences that have participated in the Football Bowl Subdivision was originally brought by former West Virginia football player Shawne Alston. It was later merged with similar lawsuits, including a notable case brought by former Clemson football player Martin Jenkins. Plaintiffs argued the NCAA illegally restricts schools from compensating football and men's and women's basketball players beyond what is traditionally covered by a scholarship. That includes tuition, room and board and books, plus a cost-of-attendance stipend to cover incidentals such as travel. Plaintiffs touted the ruling as "monumental." "We have proven to the court that the NCAA's weak justifications for this unfair system are based on a self-serving mythology that does not match the facts," said Steve Berman, the Seattle-based lead attorney for the plaintiffs. "Today's ruling will change college sports as we know it, forever." Feldman, though, said: "The remedy is relatively narrow and this is certainly not the sea change that the plaintiffs were looking for in college sports,"
The NCAA argued altering amateurism rules would lead to pay-for-play, fundamentally damaging college sports and harming academic integration of athletes. "The court's decision recognizes that college sports should be played by student-athletes, not by paid professionals," NCAA chief legal counsel Donald Remy said in a statement. "The decision acknowledges that the popularity of college sports stems in part from the fact that these athletes are indeed students, who must not be paid unlimited cash sums unrelated to education. NCAA rules actively provide a pathway for tens of thousands of student-athletes each year to receive a college education debt-free. The Ninth Circuit Court of Appeals has already said it expects to take the case. It is possible the injunction will be stayed until the Ninth Circuit rules. Feldman said both sides could have incentive to appeal the ruling. "We believe the ruling is inconsistent with the decision by the 9th Circuit Court of Appeals in O'Bannon," Remy said. "That decision held that the rules governing college athletics would be better developed outside the courtroom, including rules around the education-related support that schools provide." Wilken is the same judge who ruled on the so-called O'Bannon case, which challenged the NCAA's right to use athletes' names, images and likenesses without compensation. The case also produced a mixed ruling that eventually went to the Ninth Circuit Court of Appeals. In O'Bannon, Wilken ruled schools should be permitted, but not required, to compensate athletes for use of their name, image and likeness, with payments capped at $5,000 per year. The appeals court overturned that and said payments "untethered" to education were not required by schools." Wilken also ruled the NCAA was required to allow schools to factor in their federally determined cost of attendance into the value of an athletic scholarship. That is now common practice in major college sports, though schools were already moving toward NCAA legislation allowing for cost of attendance when Wilken made her ruling. The plaintiffs argued in the Alston case that implementation of cost-of-attendance stipends prove paying athletes even more would not hurt college sports.